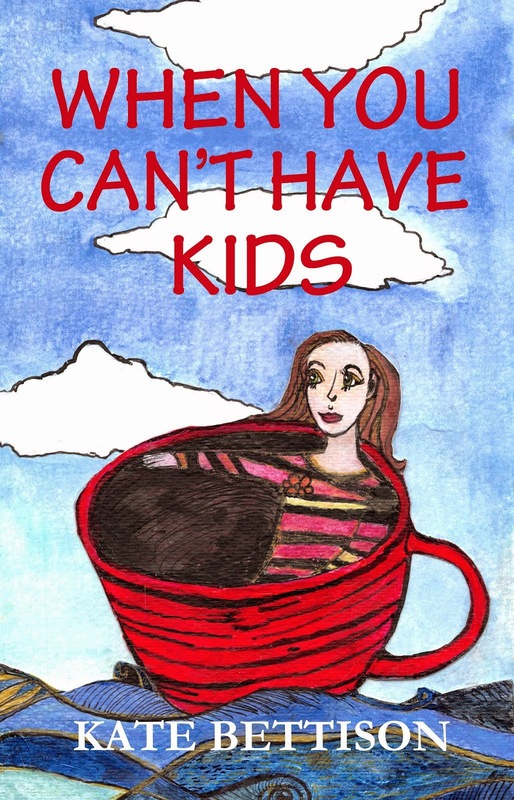 In the past year I have been thinking about how I would like my life to be given I can’t have children. I realised that, due to not having children, I was in position where I could follow paths and dreams that would have been much harder to pursue if I did have children. I also recognised that there were some adventures that I would not have been able to have at all if I had little ones – at least not until they were young adults. The life I want includes travel, writing, advocating for animal rights and the environment, being outdoors hiking or canoeing, and being as engaged in my life and its possibilities as much as I can be. With this vision came the realisation that I would have to be fit and healthy to make this life a reality. And I was far from healthy at the beginning of last year. I have put on weight in the last five years. Much of the weight was gained while I was doing IVF – the medications I had to inject myself with are known to cause weight gain, I didn’t exercise as regularly as I should have due to the unfounded fear that something would happen to the eggs or embryos if I did, and I ate sugary, fatty foods to try and make myself feel better. Eventually I ended up with high blood pressure, high bad cholesterol, and my muscles were weaker – my health was at risk. Since we finished IVF I haven’t really had any excuse not to lose weight. I just haven’t. I’ve tried a couple of weight loss programs, but none of them were suitable to continue long term. Eventually I kind of gave away the whole weight loss thing and decided to just do what I wanted – that is until I realised what I wanted my life to be. At the beginning of last year I decided to be serious about losing weight. I started exercising – doing weights, doing aerobic activity, and trying to get as much incidental activity into my days as I could. I wanted that weight gone. I was successful for a while – but not for long. I went to see an Ayurveda practitioner who gave me advice on diet and lifestyle, which I was determined to follow for long term health. They actually advised me not to do aerobic exercise and to not go out when it was cold. So I didn’t. The small progress I’d made in losing weight was soon gone, along with the desire to follow Ayurvedic principles*, and I was back to where I started. At the end of last year I realised it wasn’t long until I would be going to Thailand and I definitely wanted to lose weight for that! I renewed my commitment to losing weight and I thought I was doing pretty well – I was slimming down. Or so I thought. Last week I was interviewed for a local television show and when I saw myself on the television I was shocked. I actually didn’t recognise myself. In my mind’s eye I was truly slimming down, my arms were toning up, and I was achieving what I wanted to. But, I could clearly see now that I wasn’t. To be honest, I wasn’t really trying that hard with the exercising – it was always “next week I’ll increase my aerobic exercise”, “next week I’ll do a bike ride”, or, “next week I’ll go up a kilogram in lifting weights.” I’ve also been eating whatever I want, whenever I want. I haven’t taken the time to learn what I need by way of food – especially as I am a vegetarian. There’s nothing wrong with being larger – there are many women who are both beautiful and healthy at a larger weight. I’m not one of them – well, not healthy anyway (Kirby thinks I’m beautiful!). For me it is about how my health could affect what I want to do with my life. I am not healthy at a larger weight, and I don’t like not being able to lift things and not feeling fit and able. I don’t like the idea of going to Thailand and not being able to do the forty kilometre (25 mile) bike ride around the Sukhothai Historical Park that I want to do. I don’t like the idea of not being able to go on a strenuous hike ever again. So, what am I going to do about it? First I am going to change my mindset. I’m no longer losing weight – in fact I’m not going to focus on losing weight at all. My aim is to be fit and strong and healthy. I’m going to learn about what I should be eating, and I’m going to commit to an exercise program of weights and aerobics, and I will be setting goals – by the time I go to Thailand I want to be lifting at least six kilogram (thirteen pound) weights (I’m up to four (nine pound) now), I will be able to ride forty kilometres (25 miles), and I will feel confident that I can follow my dreams and the different paths of my life. I will not be weighing myself anymore – instead I will be measuring my waist. It seems that waist measurement is important in determining health – and I will have a waist of less than 80 centimetres (31.5 inches) by the time I go to Thailand. My life has so many wonderful opportunities. And I’m not going to miss them because I don’t feel healthy and I don’t feel strong. My children aren’t here – and I owe it to them to live the best life I can. * Ayurveda is still a well recognised and amazing health system - but it just didn't work for me.